<< product concept >> Bathing - simple life Life is actually very simple, when you listen attentively to the call of the heart, you will find that you are touched by the nature. We use natural ingredients into the handmade soap creation, allowing you to bathe in the process of washing a tired, relieve stress of the day, return to the embrace of nature, simple and simple, is the happiest bathing life and enjoyment. All the raw materials are natural plant oils, flowers, herbs, etc. 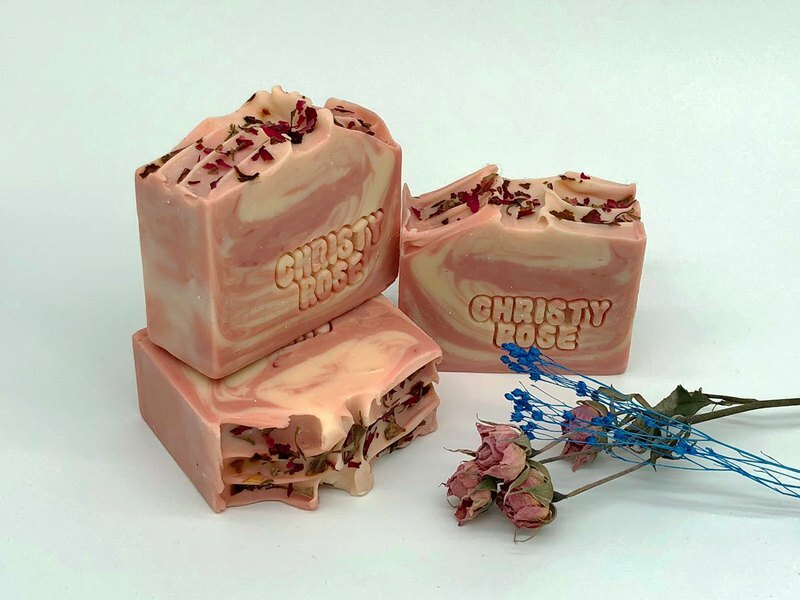 Each handmade soap is rich in glycerin to protect your skin, the different scent comes from We carefully select the right essential oil into the soap, hoping to bath at the same time, but also have a relaxing feeling, to the body and soul SPA. We provide environmentally friendly products, do not cause excessive damage to the environment, do not do animal testing, uphold the simple, simple and beautiful life to create our products, hope that our intentions, make you feel at ease ================================================== ========= << creative material >> * Natural vegetable oils (coconut oil, palm oil, shea butter, sweet almond oil and macadamia oil) Sodium hydroxide * Pure water, milk, or natural plant distilled pure dew * Natural herbs and flowers * Natural compound essential oil * Free of artificial flavors, preservatives and chemical additives ================================================== ========= << Introduction and use of handmade soap> A blossoming precious rose is extracted by cold bubbling Unique fragrance Delicate aroma Slow release When bathing, leaving a dull fragrance ◎ Recommend the use of soap bags or bathing balls, wet rub out the foam after use. ◎ handmade soap free chemical foaming agent, it is recommended to use with a bubble bag, use and keep dry dry. ◎ It is suggested that two handmade soap interact with each other so that they have sufficient drying time and can extend handmade soap Service life. ◎ handmade soap ripening period is generally about two months, so the soap two months later, is it possible to The day of use. ◎ If you do not need to use the hand soap, it is recommended to open the package, place in a cool and ventilated place, avoid No direct sunlight, continuous sun soap, handmade soap will be more gentle wash. ◎ There is a layer of white handmade soap material, which is in the saponification process, exposure to air When the formation of soap powder. This is a normal phenomenon, please do not worry, please wash the water once, White soap powder will disappear. ◎ macular or oily smell that handmade soap may be rancidity, do not use. ◎ Discomfort after use, please stop using it immediately and consult a doctor. ◎ The goods in addition to their own flaws, can handle the return, the goods once used or damaged can not Returns.